We are happy to announce that for the 2018-19 school year, all students at Potsdam High School will be issued a Chromebook for educational use at school and at home. At Potsdam Central Schools, we strive to provide innovative, diverse, and personalized learning inside and outside of the classroom. We believe technology is an essential tool that students will use as they learn, practice, and apply the skills necessary to be engaged and enlightened global citizens. Using technology, our students are expected to analyze, evaluate, and synthesize information; to connect with experts; to advance their curiosity; and to ignite their passions as they collaborate to solve real-world problems and create and publish for authentic purposes. The focus of the Potsdam Central School 1:1 Chromebook Program is to prepare students for their future, a world of digital technology and information. An environment that provides students with immediate access to online information, resources, tools, and textbooks is essential to thrive in the 21st century and beyond. Research indicates that students who have access to technology on a regular basis show a significant improvement in their learning skills over those who do not have this opportunity. With this in mind, PCS has made it a priority to provide quality tools and resources for every student. At PHS, Chromebooks are treated like textbooks, and there are no up-front costs for families. Students are expected to carry their device with them throughout their school day. Their Chromebook should be treated with care and charged nightly to maximize battery life. 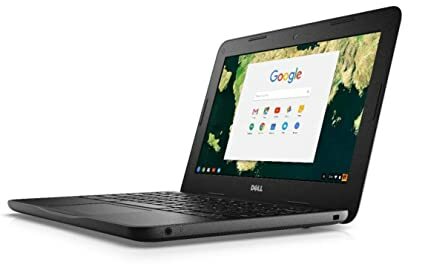 Teachers at PHS will vary in their expectations for Chromebook use, but your student should expect to use this tool for instruction, assignments, projects, research, and assessments throughout the day. In the event of accidental damage, students will be provided with a “loaner” Chromebook while their device is repaired at no-cost. If your student’s Chromebook is lost, stolen, or not returned at the end of the school year, you will be charged a replacement fee ($200), just as you would be charged for a lost textbook. For your student to receive their Chromebook, a parent or guardian and student must attend a 1:1 Orientation session. During this meeting, we will review the PCS 1:1 Program Handbook, Chromebook care, student expectations, and Internet safety. Additionally, you will be able to ask questions and gather input on how to assist your child in managing this new responsibility. Because we know you have busy lives, we will conduct four different sessions. Please attend the one that is most convenient for your family. Sessions will be held in the PHS cafeteria on the following dates. You can register for a session, by clicking on link below or contacting the PHS Main Office at (315) 265-200 ext. 809 or lrichard@potsdam.k12.ny.us . If you are unable to attend a session, you may contact the Main Office to set up an individual appointment between August 20th through August 28th (8:00 am - 3:00 pm). We are very excited about the 1:1 Chromebook Program and the endless possibilities of teaching and learning in a connected world. Please take a few moments to review the PCS 1:1 Program Handbook and our Frequently Asked Questions for 1:1 Chromebooks documents. If you have any questions regarding this program, please reach out to me at mbennett@potsdam.k12.ny.us .